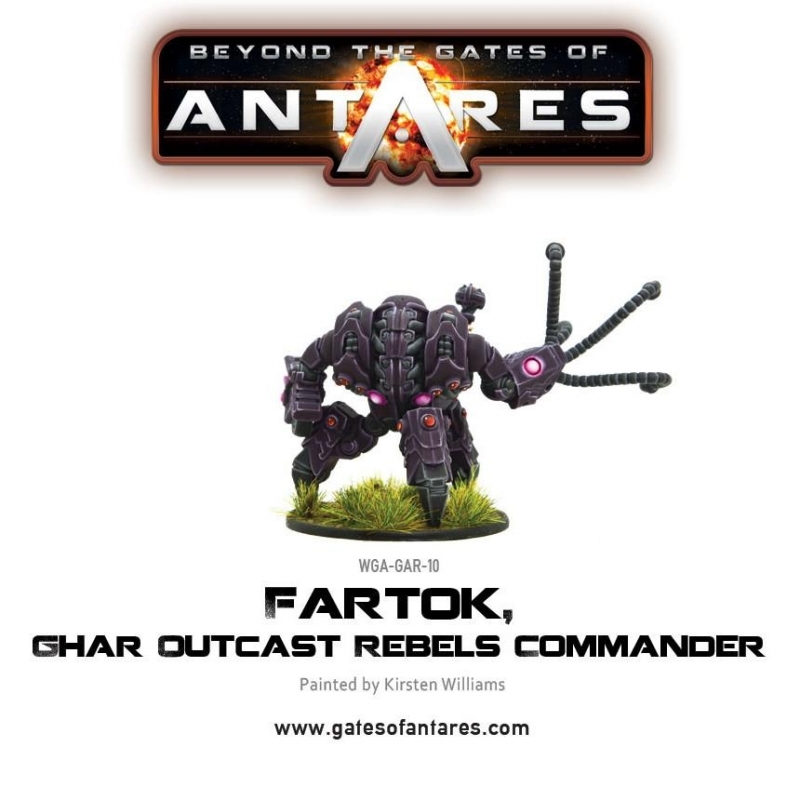 This box set contains one multi-part metal miniature with plastic base of Fartok, Outcast Rebels Commander for the Ghar faction for your games of Beyond the Gates of Antares. 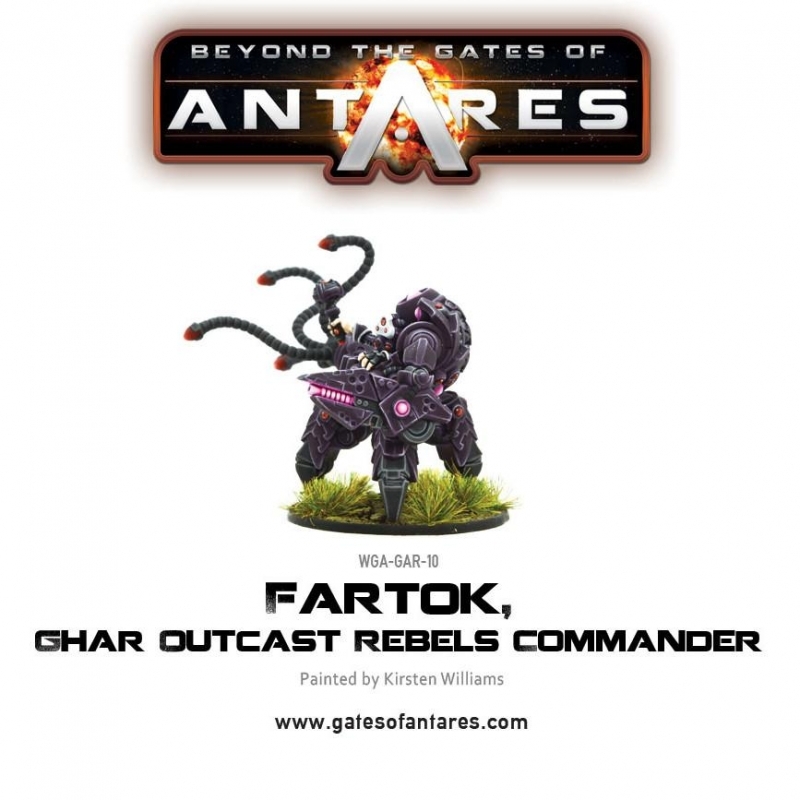 The Ghar Outcast Rebel Army, led by Fartok has to rely on what they can capture, repair or fabricate using the modest resources available to them. This has resulted in a force with a wide variety of troops and equipment, at least compared to the relatively homogenous armies of the Ghar Empire. Most significantly, it means that a rebel army is fundamentally an army of ordinary outcast infantry supported by a lesser number of machines including refurbished battle armour and captured crawler vehicles. 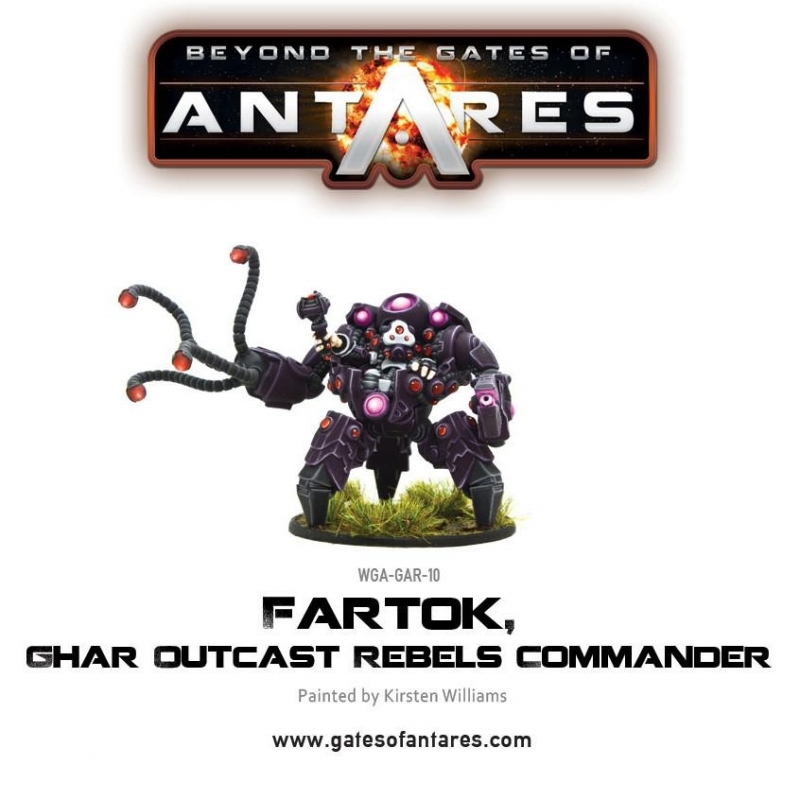 The rebel army is itself growing so large that Fartok has divided his forces into several smaller commands, each under the eye of a trusted rebel leader. It is not yet certain whether Fartok has established permanent planetary bases, although this seems likely. Most rebel action takes place in space, in the form of attacks upon Ghar and other convoys, and raids upon Ghar outposts, often with the express purpose of freeing slaves. The rebel fleets pose a threat not only to the ships of the Ghar Empire but to all those traversing the western Determinate. 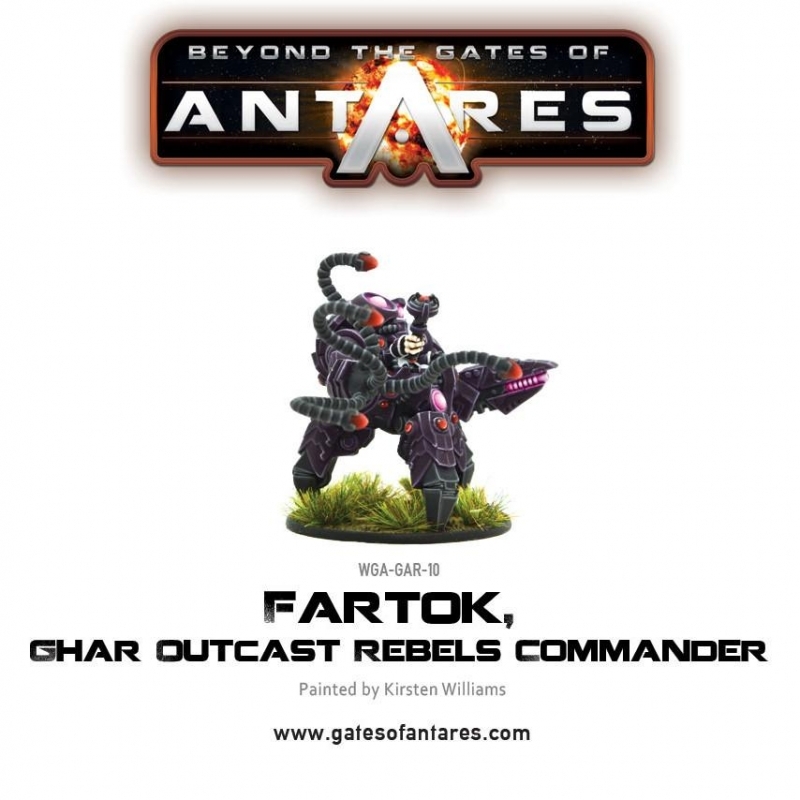 The Ghar Outcast Rebel Army List can be found starting on page 86 of 'The Battle for Xilos supplement book. In the Seventh Age of humankind the ancient Gates of Antares link to isolate worlds across countless galaxies. The evolved panhuman races wage unending war to control the technology and the undiscovered systems beyond. These human societies are bound in a bitter struggle for control of inter-dimensional gateways between worlds and it is a war fought across a million planets and in the depths of space, it is a war that has raged for thousands of years.